Days after its international debut, Samsung India is all set to unveil the Samsung Galaxy A7 (2018) in the country on the 25th of September 2018. The announcement comes days after Samsung unveiled two budget- mid-range devices in the country. 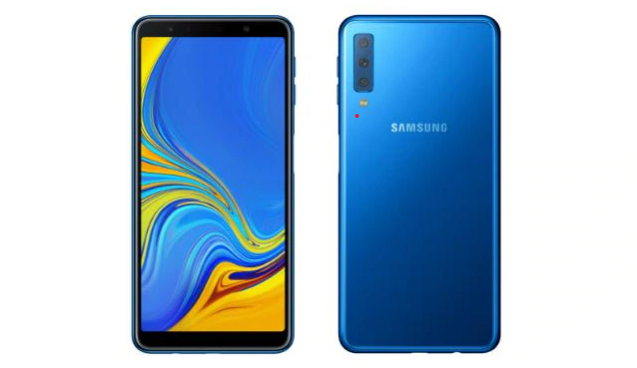 The Samsung Galaxy A7 (2018) is a successor to the Galaxy A7(2017), a hugely popular device from Samsung that was unveiled by the company in March 2017 in the country. The latest iteration, A7 (2018) bears the distinction of being the first Samsung device too have a triple camera set up at the back. Along with this, it bears an Infinity Display with a resolution of FullHD+ at the front with a size of 6- inch and sAMOLED material and an aspect ratio of 18.5:9. The microsite of the Galaxy A7 2017 is live on Flipkart with the company showcasing the device’ thin bezels and highlighting its camera as its USP. In the post the company noted, “Smartphone photography meets low light photography. #StayTuned for the new #GalaxyA7 with Super Pixel that lets you shoot stunning stories even in low light. Coming to India on the 25th of September.” Samsung further added that the device would be available to gran on the Samsung India’s official online store and Flipkart.com. Samsung is also highlighting the camera capabilities of the device. The Galaxy A7 2018 boasts of a 24MP primary sensor, 8MP ultra-wide sensor and a 5MP depth sensor at the back. At the front, a 24MP fixed focus camera with LED flash is provided for crisp selfies. Furthermore, Samsung is bundling the device with their own Super Pixel technology, AR Emojis, Selfie Focus, and Pro lighting mode. It comes with Dolby Atmos backed audio qualities also. The device is rumored to carry a price tag of 350 EUR, which translated to Rs. 30,000 in the country. 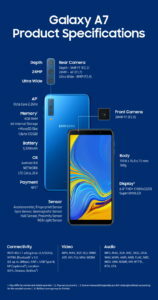 The complete list of Samsung Galaxy A7 2018 specifications.